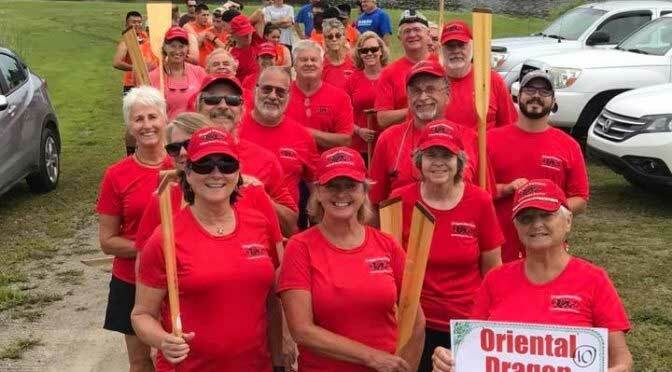 RIVER DUNES – Two popular and well known local teams – the Oriental Dragon Boat Club and Pamlico County Boy Scout Troop 683 – are expected to be crowd favorites, as the well-attended festival once again heads to spacious Grace Harbor Marina of River Dunes. The event, now in its ninth year, always welcomes these rock-solid squads, according to Festival organizer Flora Moorman. New teams and those unfamiliar with the sport will practice for 90 minutes on Friday afternoon, Aug. 10. The actual competition runs from 9 a.m. until about 3 p.m. on Saturday, Aug. 11. Entire teams or individual paddlers may still sign up. Visit www.orientaldragonboat.com, or see the Festival ad on Page A-5 of this newspaper.